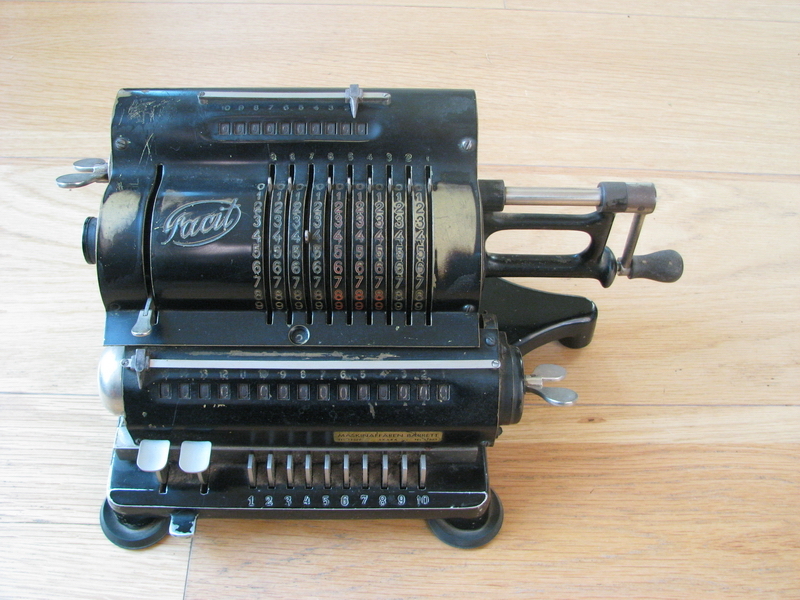 An early Facit standard. 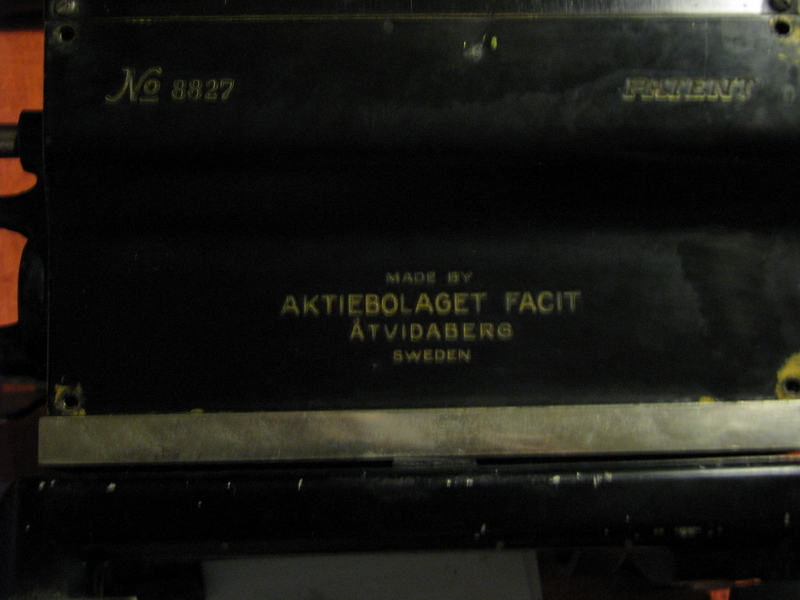 This incarnation was developed by the Åtvidaberg engineering firm. They really knew what they were doing, too. The machine is beautifully finished, and has a lot of clever gadgets to make the life of the operator easier. Most of them have to do with the carriage movement. There are two different ways to move the carriage - one way is the thumb buttons which move the carriage one step left or right. 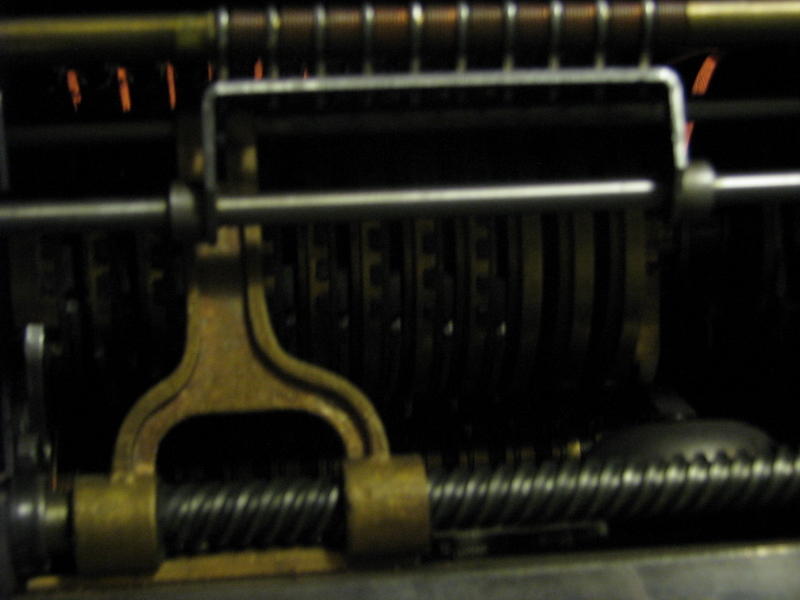 The other way is the wheel on the left side of the machine, which will roll the carriage smoothly over. 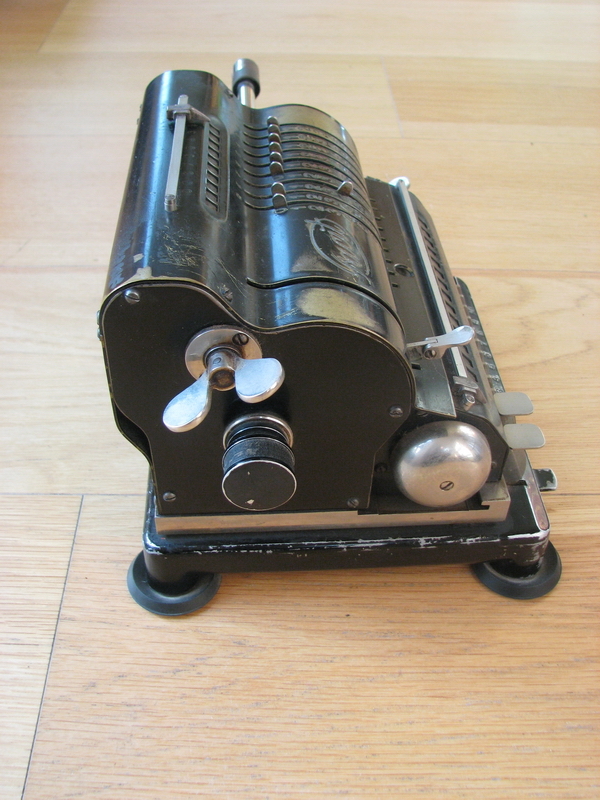 The tabulator buttons then stop the carriage. 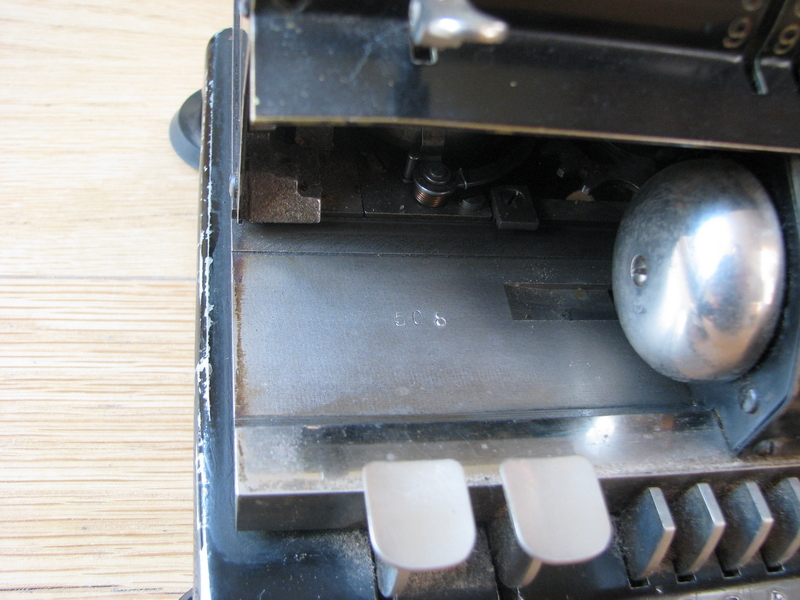 If you want it to go to position five, you press the fifth tab button and give the knob on the left a whirl - the carriage will coem to rest in the fifth position. Clearing is effected with half a turn of the wingnuts, and the reset mechanism for the input is internal, so the front plate is not cluttered up with anything. The machine works fantastically well. When I started to write this piece, the only serial number I could find on the machine is 508, stamped at the carriage support. However, up to s/n 1911 only the very first model Facit was built, without tabulation, so I decided to explore a bit more, and took the back side off. This solved the muystery immediately - despite it having a kink, it is almost, but not quite, symmetrical, so whoever disassembled the machine last, put it back wrong. In hindsight, this can easily be seen in the pictures taken from both sides as well. 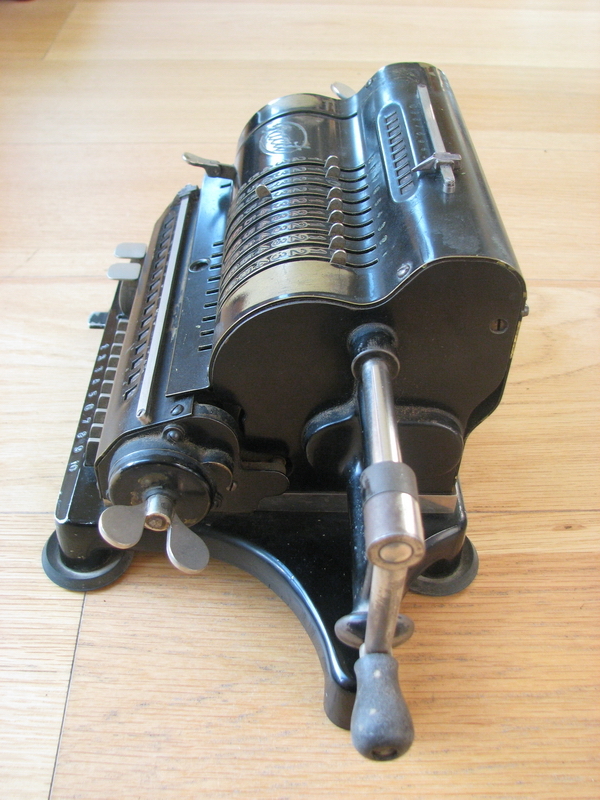 The text and the serial number were on the interior, and this is machine N° 8827, dating back to 1929. That, however, creates a new mystery. 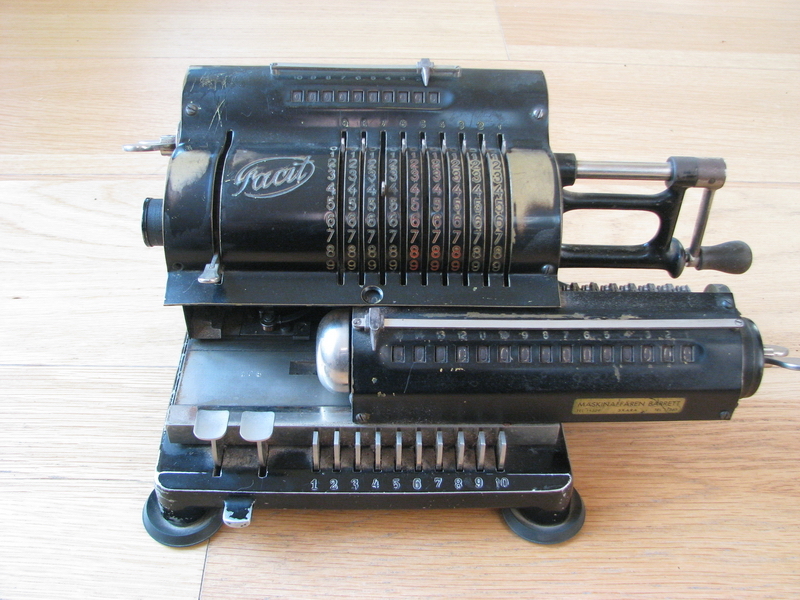 The difference between the Facit Standard and the Facit 10 is the tens' carry mechanism in the counter register. The switch occured on s/n 7132 - but this machine, 8827, doesn't have tens' carry. Odd. Taking the back off allowed me to photograph the beautiful "fast movement" mechanism for the carriage. 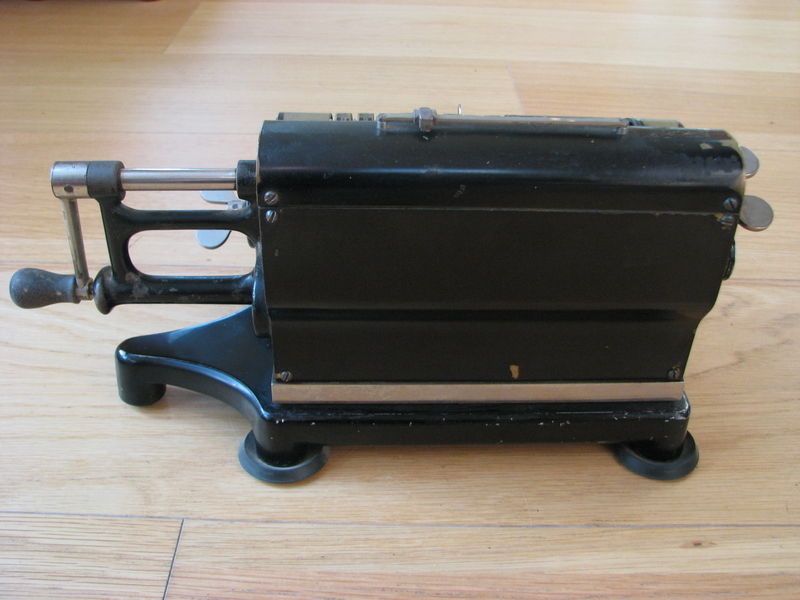 The large screw fits the pointer for the counter register, which in turn has a rack at the bottom which engages with a large gear on the base of the machine, on the other end of which is the rack integrated in the back of the carriage. Counterintuitive as it seems, the operation of the mechanism is extremely light.